Stamping Rules! : CTMH Convention Lasso a Stamp Set Layout! CTMH Convention Lasso a Stamp Set Layout! Today's the day! 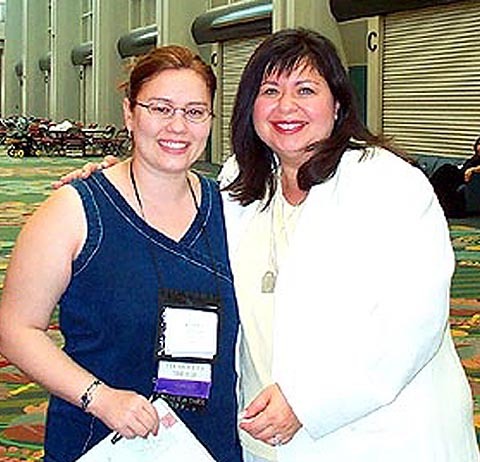 The last day to enter CTMH's Convention 2012 Lasso a Stamp Set contest! CTMH sent every consultant this adorable Stars Shine Bright Postcard. Being the paper hoarder that I am, I tucked it away to add to my convention pages...and shortly thereafter they announced this fun contest! I love the fun color combo of Creme Brulee, Lagoon, and Sunset, so I naturally grabbed my Dotty For You papers and honed in on the Dotty backsides. I also used a bit of Stella across the bottom...even on a star themed layout I've got to sneak in some flowers! Be sure to click on the photo to see the details up close - there's a lot to see! The journaling on my layout talks about my trips to lots of wonderfully fun CTMH corporate events - not everything I've been to (that amazing Caribbean Cruise in 2005 is conspicuously absent, as is my trip to Convention in Las Vegas...since I was teaching Extravaganza that year I somehow have pretty much no pictures...sad...) but it's a round up of a lot of seriously good times! Here's a closer look at the center cluster of Cricut and stamped images. I cut out the stars and stamped each layer in second generation Sunset ink using the April SOTM called "You are..." Then I sponged them with Creme Brulee Ink and swiped the Edges with Sunset ink. The smaller stars and tickets are from are stamped with images from the Blue Ribbon Stamp Set. 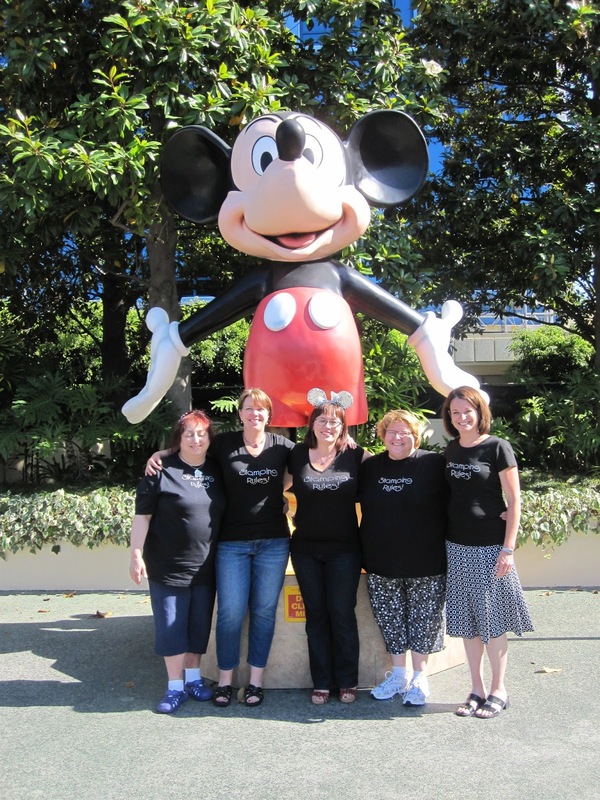 I added a pic of my team from 2011's Convention at DisneyLand to a Cricut ticket - that "Fun" pop of lagoon is cut out and popped up. Along the bottom are smaller tickets with photos illustrating my journaling. I placed Bitty brads in a ring around my sweet team and added more of the stamped and sponged stars. Bitty brads also underline the Stars Shine Bright Title. Thank you for Bitty Brads, CTMH - I love them so much! In '02 I brought Newbie Wonder! paired with a pic of me and Jeanette Lynton! In '03 I brought my brand new team! paired with a pic of me and two of my team of four fabulous ladies! In '07 we brought in the worlds largest pizza...still LOL! Ginni, Kelly K and I ordered a pizza, ostensibly just for 2 of us...but when it came they had to turn it sideways to fit it through the hotel door. It was the largest pizza I've ever seen. 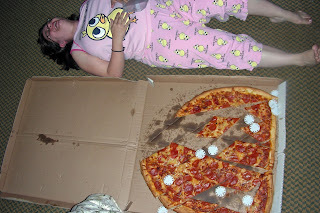 Pics were posted to the team email loop of me in my jammies laying on the floor next to the gigantic pizza. I still giggle everytime I think about it. In '08 I brought my 6 mo. old son Ben! He was an angel for the entire trip...but I forgot his Ergo baby carrier, and that sweet baby weight 20 pounds at 6 months, so my back paid for that error! Ben was there for my gal Cathy's big win at General Session, was babysat by none other than Sonja Cox for Create N Take, and Ginni got him his first pair of Mickey Ears! In '11 I brought 4 fabulous ladies! In '12 I'm bringing 8 of my team of 12... and we cant' wait for CTMH to BRING IT ON! Thanks for this fun contest, CTMH - and thanks for the years of super, amazing, silly, just plain fun Convention memories! I'm practically jumping up and down in my seat with anticipation, imagining what you might have in store for us... See you in Dallas! I'm linking this post to Today's Creative Blog's Time to Craft Roundup! Wendy, that pizza is HUGE!!! That being said your layout is great! It's fun and colorful, and seeing it, I can't wait for convention! I hope you do well in the contest! Wendy you are so creative! CTMH is the perfect business for you. I love this. And that picture of you and the pizza...so funny! This is Awesome Wendy! Great job!!! Thanks so much for the walk down Memory lane. I don't think we laughed so much as the Pizza night. K was on a roll I'm sure.